At Decon, we design all conveyors from scratch by using the latest 3D computer assisted IRON CAD software. 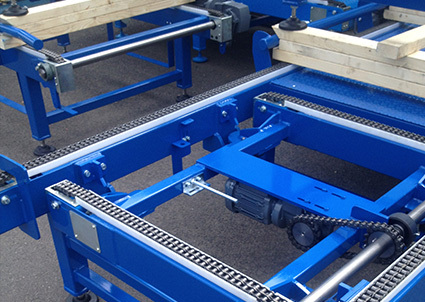 This enables us to create custom material handling systems for all of our customers. It also allows us to tailor our solutions for every customer’s specific needs. By using 3D IRON CAD, we can show the customer exactly what we are designing and ensure that it meets their needs and specifications. We can also change the design at any point to accommodate the customers’ changing needs. Once the conveyor has been designed, it is manufactured in-house by skilled tradesmen, many of whom have decades of experience in the industry. All equipment is thoroughly tested by our team of designers and tradesmen before it is sent to the customer. This allows us to ensure that all of our equipment functions properly before we ship it. 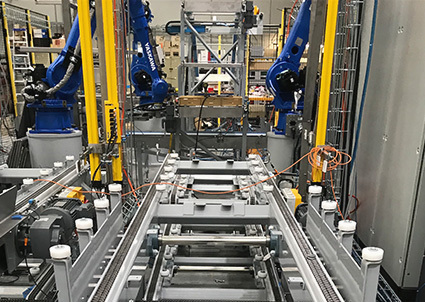 Our in-house design and manufacturing capacities give us the capability to create material handling systems for any industry. In the past, we have built chain conveyors, belt conveyors, and powered roller conveyors to move minerals, agricultural products, and manufactured products. 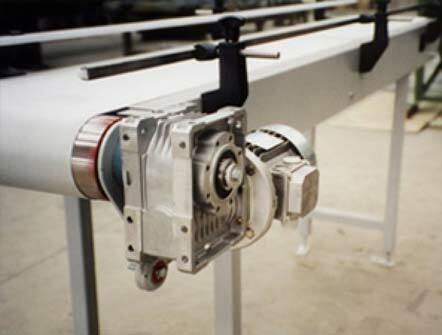 We have even been able to build conveyors that are capable of safely moving delicate retail goods and food products. The capacities we can build into a system go far beyond conveying. Our systems are capable of palletising, accumulation, check weighing, and guarding. If your business has a specific need that requires a custom made material handling system, please call Decon at 0419 383 330 or contact us online. Manual labour may sound appealing and cheap to you at the beginning but considering the speed to market today, the available technology and the ease and comfort machinery provides will make you realize that having automated and powered conveyor systems offer better value for money over the long term. To be sure you get the best quality automated conveyor systems in Australia, place your order with us at Decon Conveyors and Automated Systems! With a vast experience in our field, we can confidently claim to provide you sturdy conveyors that meet your exact functional specifications and design preferences. Highly suitable for performing in the tough industrial environment, you will find that our conveyors come with the convenience of hassle free operation, repair, and maintenance. They are also equipped to handle the varying usage and for handling the different products you need transported. 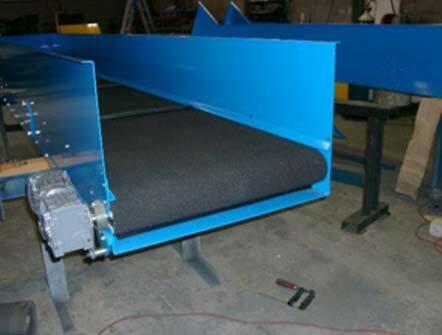 Powered roller conveyor systems help in transporting goods over rollers. This kind of a conveyor system is best for transportation of solid goods such as cartons, books, wood, boxes, etc. Ideally, the powered roller conveyor systems should be designed in a way that there are about three rollers supporting each product while it is being rolled over the conveyor system. 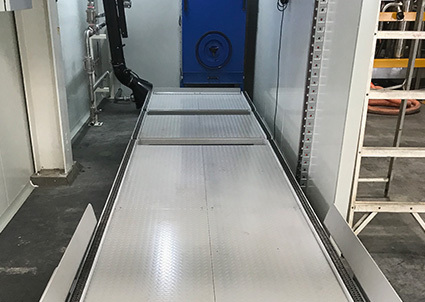 Powered roller conveyor systems built by Decon Conveyors and Automated Systems are extremely useful when you require a system which makes less noise and does more work. They provide high performance while the rollers do their job quietly. They are reliable and less prone to breakdowns. Powered turntable also comes quite handy in industrial usage especially when your products go through processes that require directional changes. With a surface that is easy to clean and maintain, and highly resistant to scratches and similar damage due to rough usage, a solution that occupies a small space, powered turntables provided by Decon Conveyors and Automated Systems are sure to make life easy at the office! The diameter of the turntable and its rotation system can be customized as per your requirement. Powered turntables can be integrated with other automated conveyor systems to provide you a complete solution for transporting products with ease and convenience and changing their direction as and when required by the process. The entire system will be built using the best quality fixtures, supports and machinery so you need not worry about its quality and can enjoy an uninterrupted performance. Decon Conveyors ensures following the highest quality standards laid out by Australian Law. Make sure you also place your order with Australia’s best – contact us at Decon Conveyors and Automated Systems and we will be with you to gather your requirements at the earliest! Copyright @ 2019 DECON CONVEYORS AND AUTOMATED SYSTEMS. All Rights Reserved.